Custom Single-Story home, "One of a kind", on Cul de Sac in quiet and peaceful neighborhood. No HOA fees or Mello-Roos. Custom Paver Stone driveway for RV parking or 4 cars plus clear access to garage. Roof installed in 2000; Lite weight terra cotta roof tile system. "Carrier" Heating and AC system installed in 2008. Dual pane custom windows throughout home. Large, pool-sized, lot; professionally landscaped and well-maintained property. Too many upgrades & custom features to list, see suppl & attached., Other Custom upgrades and features: Custom handmade "Mesquite" hard wood front entry doors with ornamental iron handles and highlights. Antique French doors into Dining Room with stone wall balcony overlooking formal living room. Custom heavy wood beam support with hand crafted structural iron supports over wall. Custom handcrafted fire place grill and heavy wood beam mantle with ornamental iron supports. Beautiful large tile flooring in formal living room. Custom wood shutters in formal living room, dining room and master bedroom. Hardwood floors in entry way, living room and hall. Custom handcrafted wrought iron lighting in Kitchen. Boston Acoustic 8 speaker system with 14 gauge âMonster cableâ hard wired for premium sound in Living room, Dining room, Formal living room, Garage and Courtyard. In wall cable routing for entertainment center with additional access panel from laundry room.Large Master Bedroom very private with peaceful waterfall sounds out your window. Custom Tile, Large sliding door with courtyard access and folding wood shutters. Hidden attic storage area finished out with lighting and disappearing step ladder. Re-modeled Master bathroom with handcrafted custom âBarn Doorâ additional hot water tank for immediate hot water delivery. Re-modeled Master bedroom walk in closet with storage system with handcrafted custom âBarn Doorâ. 3 additional Bedrooms 12' deep x 11' wide not including closet. Re-modeled entry way 1/2 bathroom. Re-modeled 2nd Bathroom with spa tub, tile, bamboo trim, open beam ceiling and storage area in attic. Spanish tiered fountain at entry. Hand crafted custom Brass & Copper Chimney cover.Hand crafted "Rising Sun" Brass & Copper trellis supporting blooming "Star Jasmine" vine. Custom hand crafted ornamental solid wrought iron side gate *Removable for side and back yard access. Custom hand crafted ornamental wrought iron bougainvillea trellis front yard privacy fence. Koi Pond water garden feature in back court yard with 3 water falls. Low maintenance design 1000 gallons per hour flow and water lighting. Healthy and beautiful large Koi, love to be fed at sunset. Commercial grade Sail Shade canopies in "Manta Ray" design presentation. Custom handcrafted ornamental wrought iron Sail canopy supports. Copper gutters in courtyard and front of house. 5 healthy and excellent producing Citrus trees - Tangerine, Naval Orange, Lemon, Lime and Miniature Lime. Garage side yard "Dog run" with Storage shed, Paver stone side walk and custom handcrafted gates. Rear of house Brick/Stone path - 3 Storage lockers and Tool storage rack. Side yard with Low maintenance desert landscaping and meandering path. Side yard vegetable garden with slow soak independently controlled irrigation system. Custom steel garage door with premium "Lift Master" side mount door opener. Triple phase industrial outlet in garage for welder, compressor, etc. PVC industrial tiled garage flooring. Large Garage attic storage area. Re-modeled Laundry room w/triple phase outlet and gas, custom storage shelves and large barn sink. 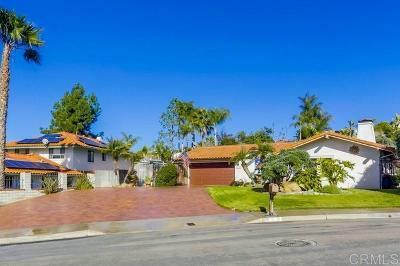 Large lot- professionally landscaped and well-maintained property. Ornamental gardens, Rose garden, water garden, vegetable garden and Citrus trees.Beautiful Large boulders used in landscape design, mature bougainvillea "Bare stock" trellised plants. Large well-maintained grass back yard for playground, pool, etc. Palm trees, Pride of Madeira, Jasmine, Bougainvillea, Citrus, Lavender, Birds of Paradise and numerous flowers blooming year-round attracting humming birds and many other birds. 6' Vinyl Fence length of property on South side with Stone wall on North side.